Description: The boats lay on the beach, after the tide has receded. The fisherman's wives and children have come out from their house boats to dig for clams. 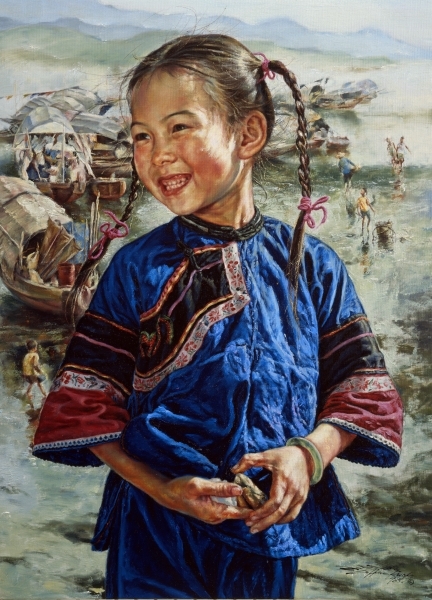 A little girl, a clam in her hand, smiles joyously. She is happy to be there, with her friends and family, on a beautiful, sunny day.